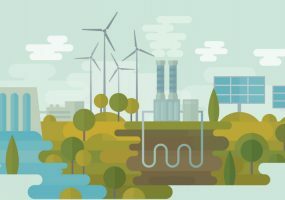 LEED certification can distinguish your company as environmentally friendly, and save money at the same time. 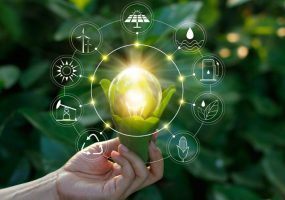 LEED certification can distinguish your company as environmentally friendly, and save money at the same time. Here’s how to get started. 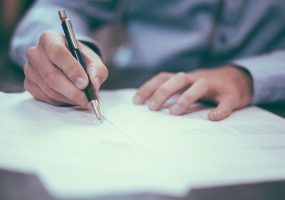 Architects, designers and building owners can download the guide to learn what Legrand products will help them reach LEED certification goals. Carnegie Hall is one of a limited but distinguished number of century-old buildings to achieve LEED certification. Siemens served as a technology partner for the project, helping to make Carnegie Hall more energy efficient, safe and secure. 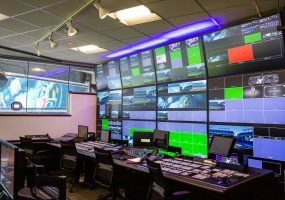 Part of a $120 renovation, control room of Baltimore Ravens stadium features 4K displays, enhanced control of cameras for better replays. Research Points to New Hybrid Imagery for Multiple Media Vehicles – But What Are the Risks? As decision makers read up on this hybrid imagery stemmed from video game engines, they should keep in mind risks like misinformation and propaganda. 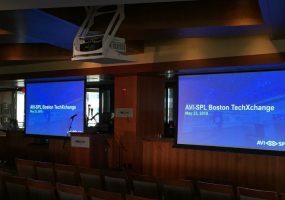 AVI-SPL invited a healthy mix of manufacturers and end users to attend its TechXchange event at Boston’s Fenway Park to discuss what the experience of the workplace should be. What’s Up With AV Tech Tours at InfoComm 2018? 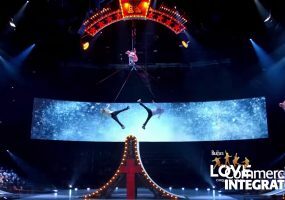 If you haven’t signed up for AV Tech Tours at InfoComm 2018 — Blue Man Group, The Beatle’s Love Cirque du Soleil or Hakkasan’s Omnia Club at Caesar’s Palace — time is running out, says AVIXA’s Rachel Bradshaw.